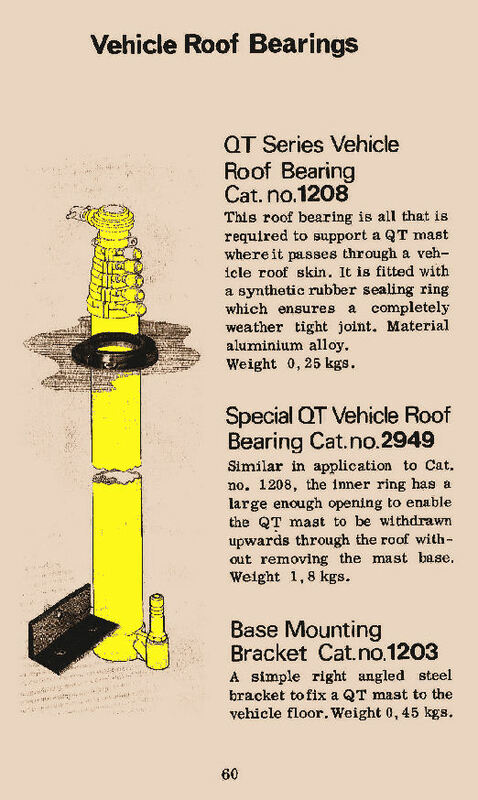 Illustrated in this web page, for historical purposes, are a range of Vehicle Mounting accessory pages from Clark Masts late 1960's - early 1970's catalogue. 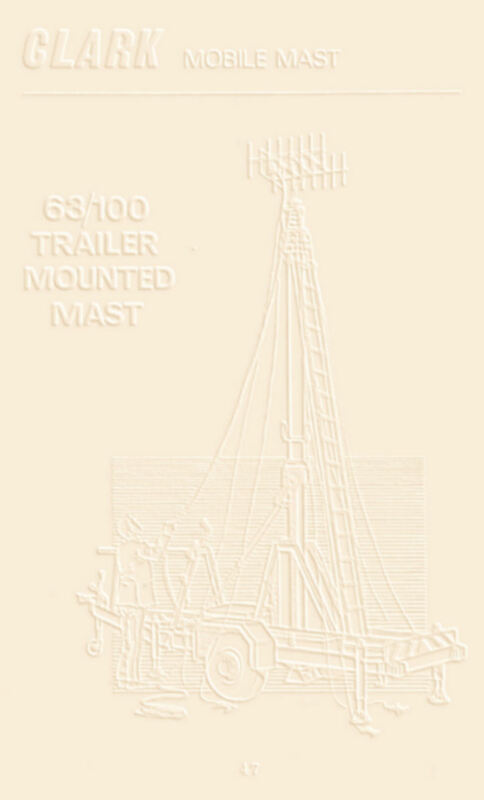 Clark Masts produced a range of Internal Vehicle Mounting accessories and fittings for their late 1960's early 1970's masts. 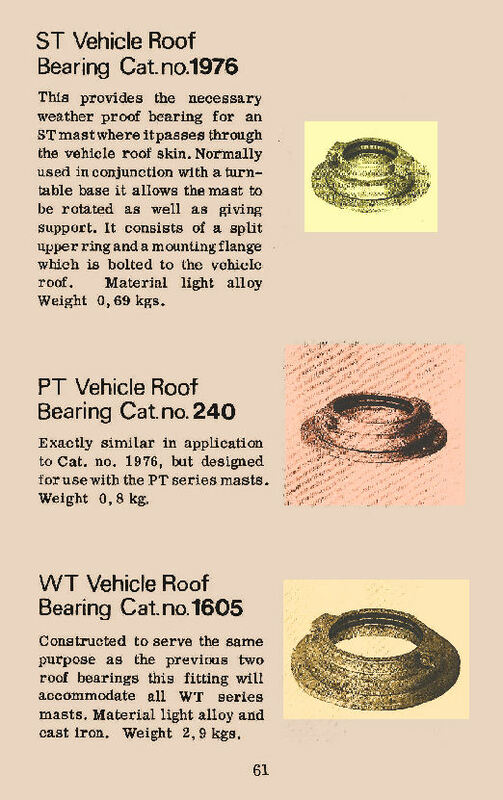 Included were such items as Roof Bearings/Roof Seals which allowed masts rotation while also providing a water tight seal through the vehicle roof.